Show the above pass image on your smartphone upon entry and receive $2 after admission, after 10 PM only, for a discounted cover of $10 instead of $12. Or, take advantage of the early bird rate of $9 before 10 PM, no flyer needed. Early arrival is recommended as this party is looking to fill up FAST! Check out TE Performance Tools on Facebook here! 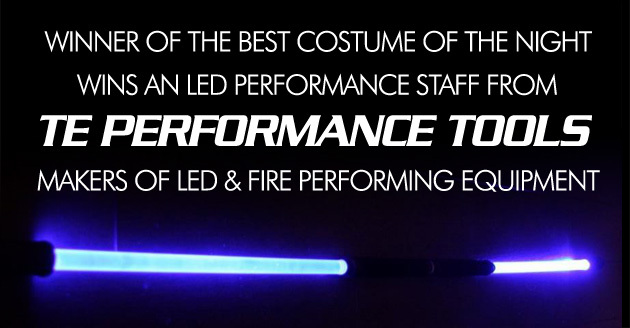 TE Performance Tools is a Vancouver based manufacturer of professional fire and LED performing equipment, specializing in technologically advanced performance tools, working with both the local and world-wide performing community to create the most unique tools available. 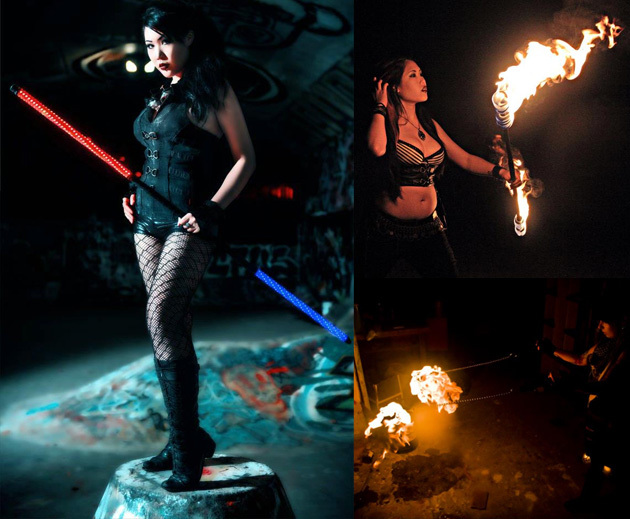 ONE LUCKY WINNER WITH AN AMAZING BLACK, WHITE OR GLOW OUTFIT WILL BE TAKING HOME THE GRAND PRIZE : AN LED SABRE STAFF FROM TE TECHNOLOGY! It’s made out of an engineering grade frosted acrylic with an aircraft aluminum center wrapped in velvet tape and lit up with ultra bright one-watt LEDs. It is water resistant, runs off of either 6 AAAs or 2 lithium rechargeable batteries (usually sold seperately), and comes in red, blue, green, white, or ultraviolet. The MSRP on the staff is $89.99, and the fine folks from TE are also throwing in the Rechargeable Lithium battery kit with an MRSP of $39.99, making the total value of the prize $129.98. 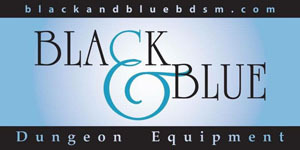 The staff is a UV-emitting blue colour, so if you wear something black-light-reactive near it, you’ll glow!